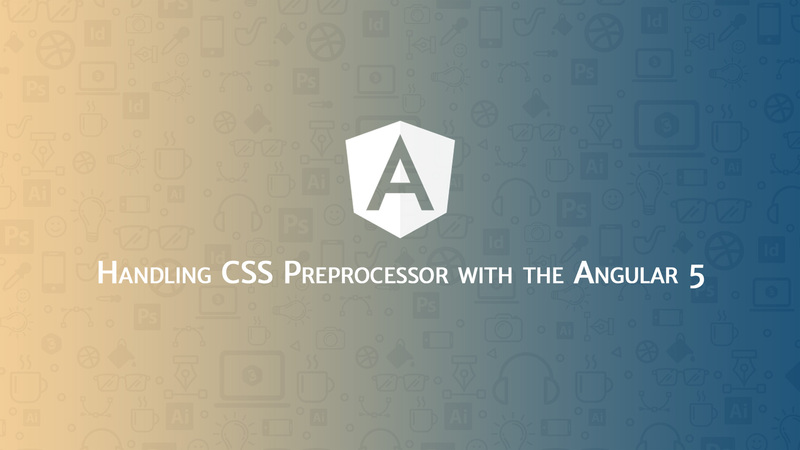 In this article, we will discuss handling CSS Preprocessors with the Angular. The question is, what is CSS preprocessor. CSS preprocessor makes our styling more effective and reusable. CSS is old and incomplete. Because CSS not having an option to make functions, reusable classes, and etc. CSS Preprocessor provides all those options to make CSS more flexible. Lot’s of CSS preprocessor available now such as LESS, SCSS, SASS, Stylus and etc. For large applications maintenance is a very big problem. Also when your web application contains multiple skins then its too hard to manage all the styles using CSS only. We will discuss more on CSS Preprocessor in our future articles. When we are working with the Angular Js application. CSS is the default stylesheet and having the .css extension. Before proceeding, I’m assuming you are familiar with the Angular CLI. If no then you can start with given articles or the official docs. If you are created your app with the default CSS. Then you can convert the app CSS to the SCSS using following command. You’ll have to convert your CSS files into SCSS manually. We will create the following folder structure for SCSS files. We’ll import the _variables.scss and _mixins.scss into the main styles.scss. Finally, You’ll have to update your “angular-cli.json”. In this file, you just need to change the following line to point to the right styles.scss. Our SCSS variables and mixins files are ready for use in our components. You may be used to having access to your Scss variables in all locations since your Scss is compiled by a task runner. The tilde (~) symbol is a quick shortcut to importing SCSS files and tell SCSS to look in the src/ folder. We can directly tell us to SCSS to look in the certain folder. You just need to update given example of ‘stylePreprocessorOptions.includePaths’ into the “angular-cli.json”. Let’s setup Bootstrap in our app using given command. After successful installation, let’s include the bootstrap CSS into “angular-cli.json”. The CLI starts looking from within the src/ folder so we are using the double dot (..) to go up one folder to get to the node_modules folder. You can also copy the bootstrap SCSS folder from the node_modules/bootstrap directory and place this folder in your custom SCSS folder which we created last time. And you can use bootstrap module separately as per your requirement. As we know this bootstrap is used jquery plugins such as accordion, collapse, carousel and etc. All these plugins are not working without jQuery and Popper js. Popper.js is introduced in the bootstrap (v4.*. *) So you have to include pooper.js with bootstrap. In this article, we will discuss how to integrate CSS Preprocessors in Angular. Hope you like this article. So feel free to comment if any query and share this with your friends.